The Society of Professional Journalists recognized The Hatchet as a regional finalist in three categories for its annual collegiate journalism competition. Winners for the Mark of Excellence awards will be announced at the Region 2 conference April 5 to 7 in Ocean City, Md. Region 2 includes collegiate newspapers in D.C., Maryland, North Carolina, Virginia and Delaware. First-place winners will move on to a national competition with winners from 12 other regions. 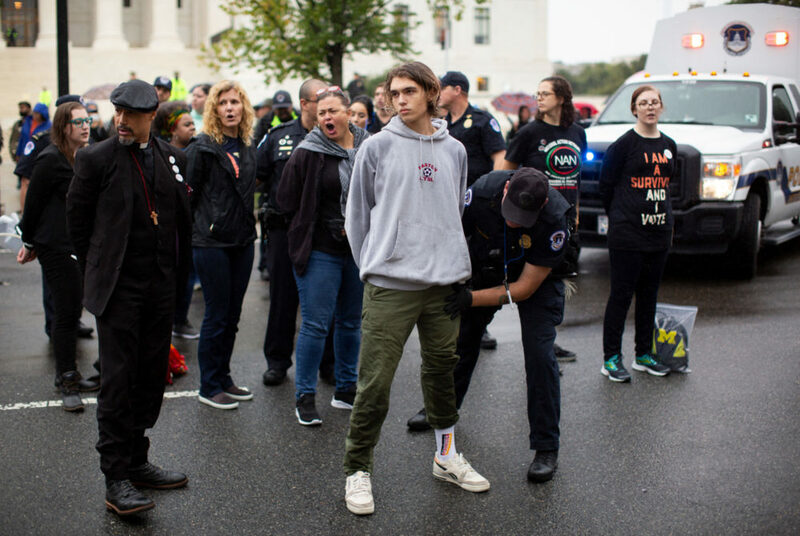 Freshman Owen Hall stands in the rain after being arrested protesting against Supreme Court nominee Brett Kavanaugh, who has been accused of sexual assault. 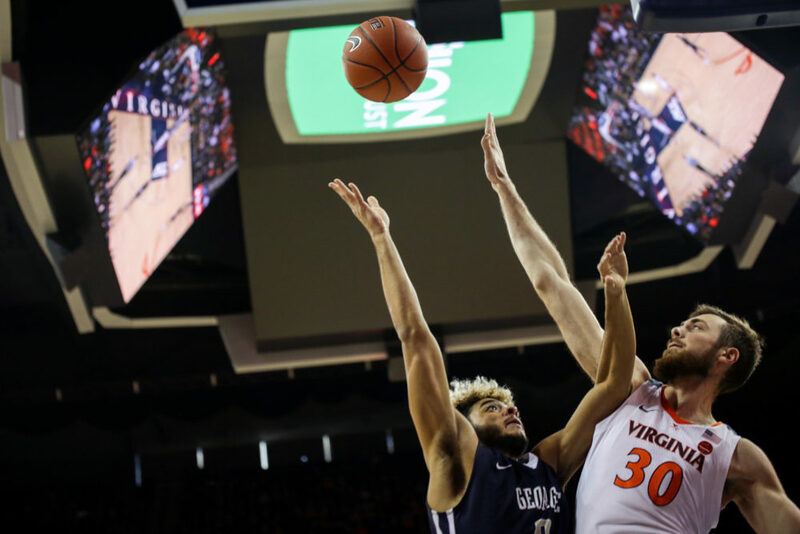 Sophomore guard Justin Mazzulla jumps up to block a shot during a men’s basketball game against Virginia in November.